Property 1: TRUE IN-TOWN SAINT MICHAELS 5.5 ACRE WATERFRONT w/POOL!!! 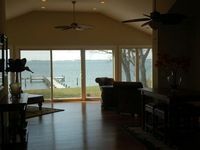 Property 3: The perfect escape on the Chesapeake Bay, come for a few days or a few weeks! Property 6: Large -IN TOWN- Historic House on Harbor in St Michaels - Walk to Everything! Property 14: Town and Country | Newly Remodeled Home on Outskirts of Historic District. Property 24: ***NEW*** Enjoy Tilghman & Watch the Boats Pass from this Updated 4 BDR beauty! Property 26: Waterfront, kayaks, views, complete privacy & sunsets near charming village! Beautiful, Private Retreat with HUGE Water Views!! Property 31: Beautiful, Private Retreat with HUGE Water Views!! Property 32: Waterfront W/ Pier Chesapeake Bay Home, Kent Island - Perfect Sunsets and Pool! Property 33: Winter in Cozy St. Michaels BEAUTIFUL WATERFRONT HOME!!! Property 35: Peachyriver's Waterfront Haven! Romantic, Private, quiet w/ Pool, kayaks, dock. 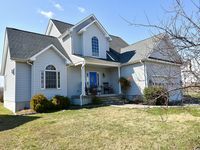 Large Waterfront Home 2 miles from town: 5 & 6 night summer rentals available! Property 43: Large Waterfront Home 2 miles from town: 5 & 6 night summer rentals available! Secluded Waterfront Property on 3 acres with swimming pool and dock. Property 50: Secluded Waterfront Property on 3 acres with swimming pool and dock.